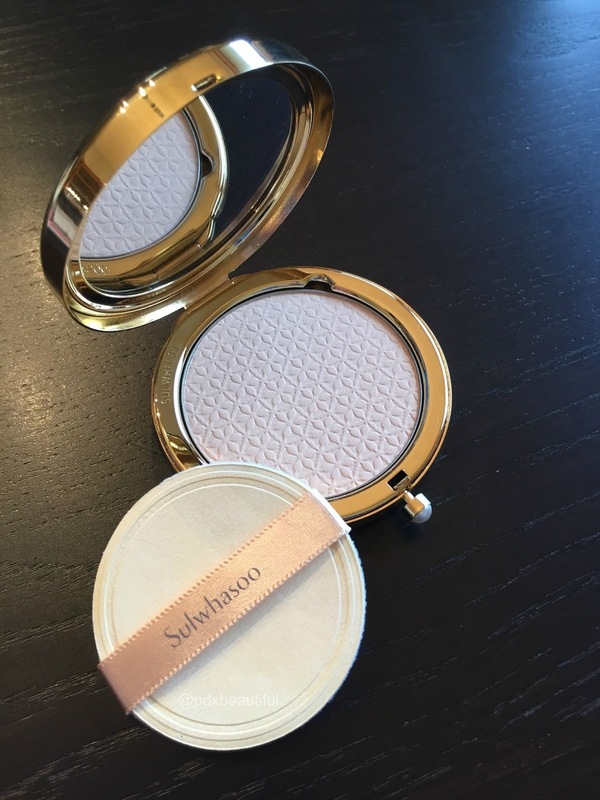 If you are familiar with Korean skin care then you are no stranger to the popular Sulwhasoo brand. This is a company founded on Korean herbal medicine practices and the Sang-Seng philosophy of balancing the inner energies of the skin. I am no stranger to this brand either as I have used many parts of the line several years ago. Sulwhasoo is the first science based Korean luxury medicinal skin care systems and I cannot lie that these products comes with a hefty price tag. 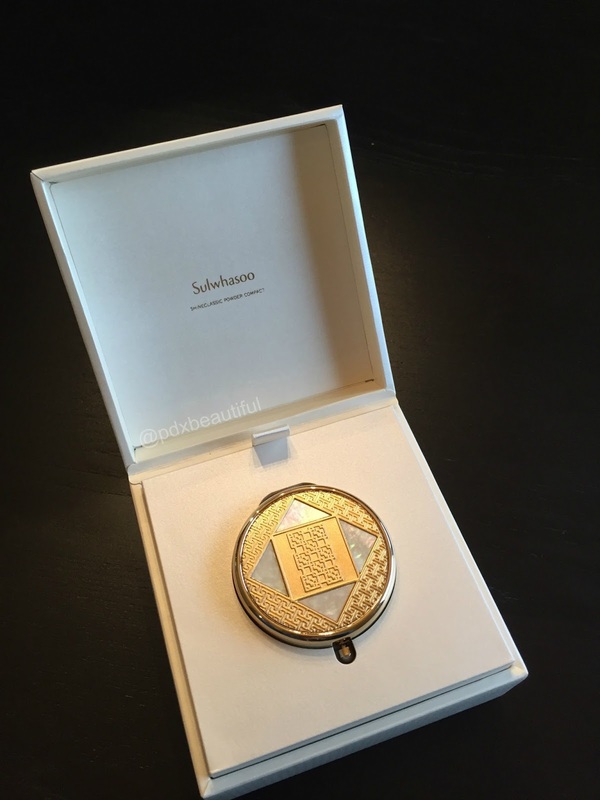 There is no doubt that Sulwhasoo is a splurge. 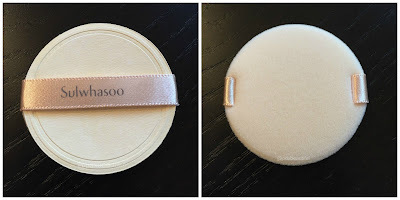 In the case of most Sulwhasoo products, I believe they are well worth the price. 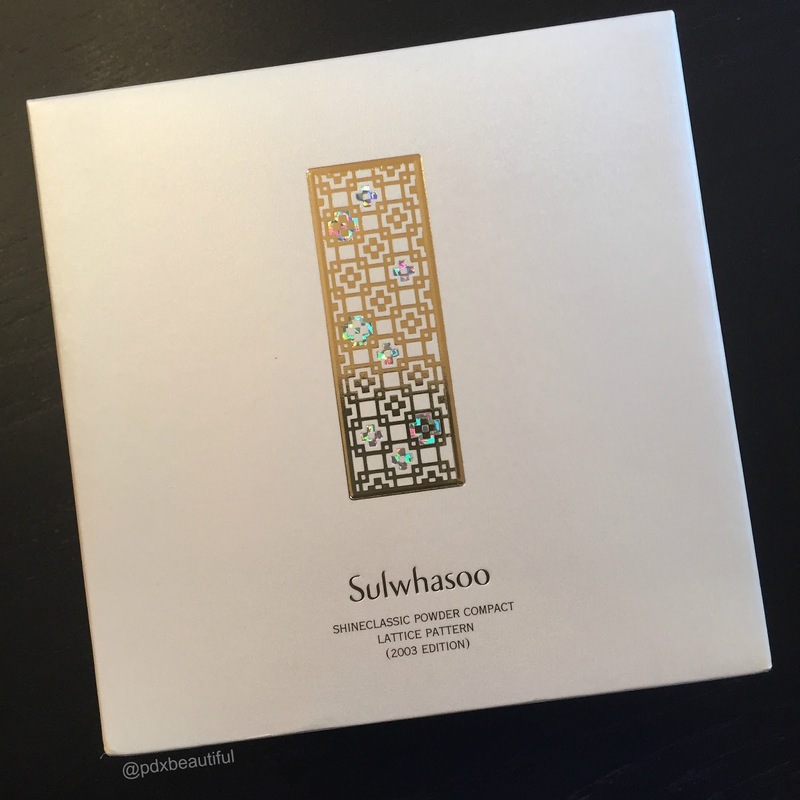 While taking about skin care with any Korean beauty enthusiast, Sulwhasoo products usually come into the conversation! Sulwhasoo is an extremely popular kbeauty brand. 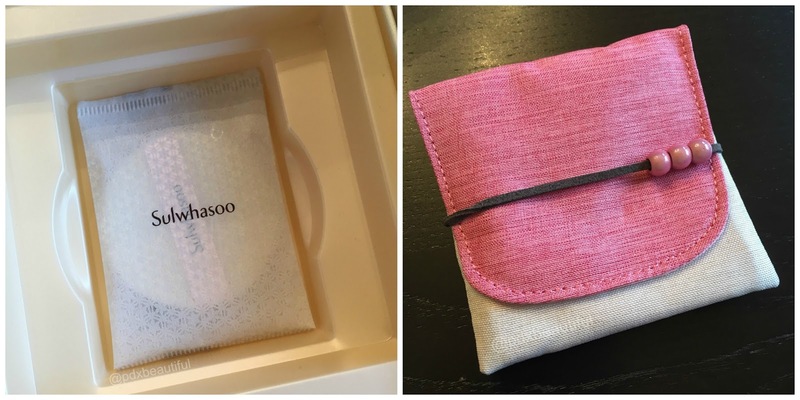 Sulwhasoo like other Korean beauty brands release limited edition products once or twice a year. 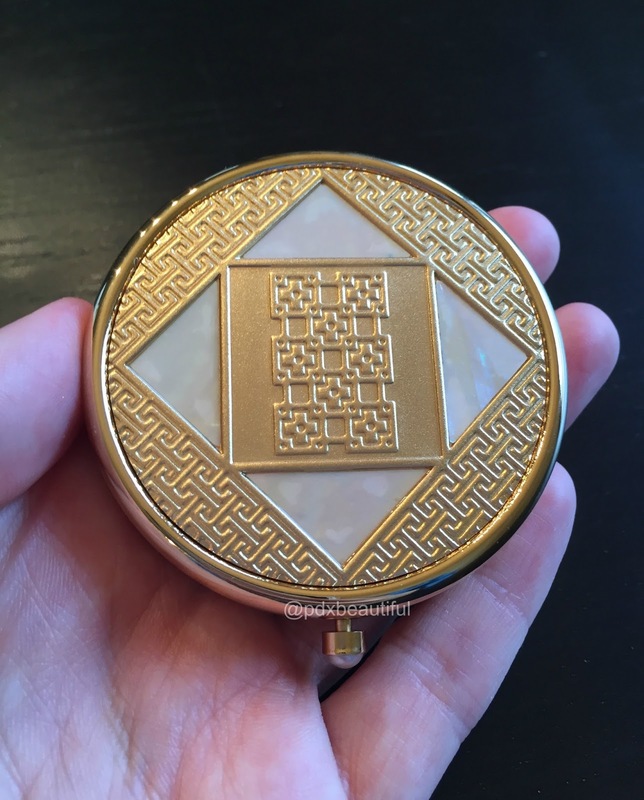 This post is going to on the first ever, limited edition powder compact case that was originally released in 2003. 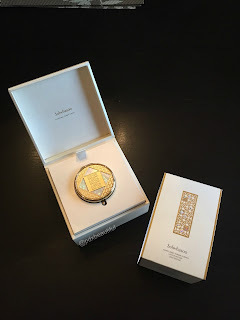 I had seen these limited edition cases before not only from Sulwhasoo but also from History of Whoo and even Estee Lauder. I had always admired their beauty but never thought to actually purchase one. 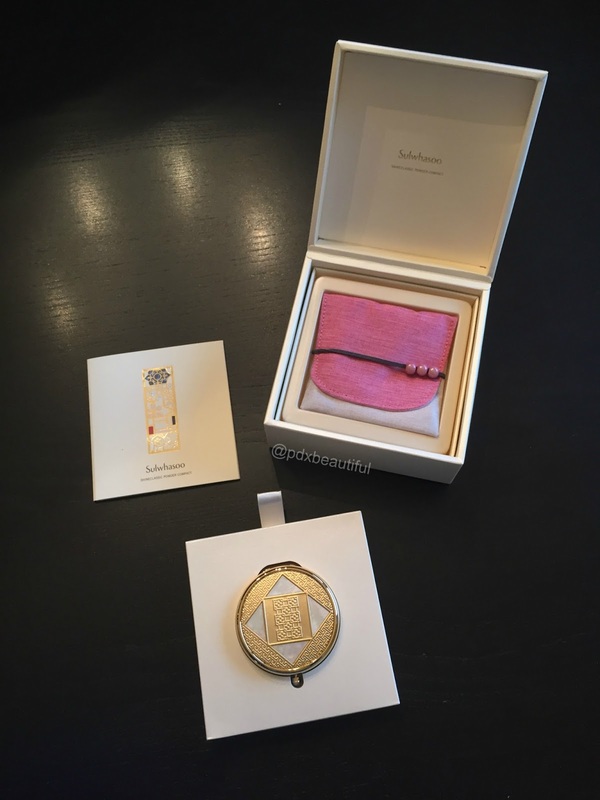 However, I decided to take the plunge and I contacted the the Neiman Marcus store and ordered one. 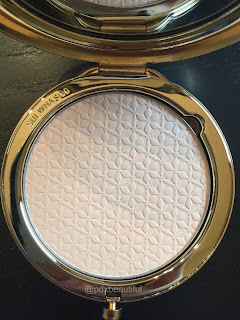 I received the compact about three days later and have been in awe ever since! This compact is truly a beautiful piece of art! I decided to purchase the original, 2003 Lattice compact because it was the first ever Sulwhasoo compact case to ever be made. Out of the five total designs made between 2003 and 2010, this was my favorite. Just a side note, this particular compact was re-released in 2014 so that is why Neiman's still had a few left over. If you are wondering, this case originally retailed for $150 dollars but I got it at a steal of only $69. Here it is!! I still cannot believe I bought it as I don't normally splurge on such things but I am glad I did. 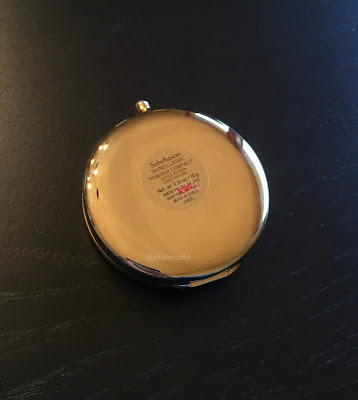 It is an extremely heavy and sturdy compact case that will definitely stand the test of time. The compact comes with an extra refill powder, an additional puff applicator and a cute carrying case. The question I am still trying to answer is if this powder has expired as I cannot find any printed dates anywhere! 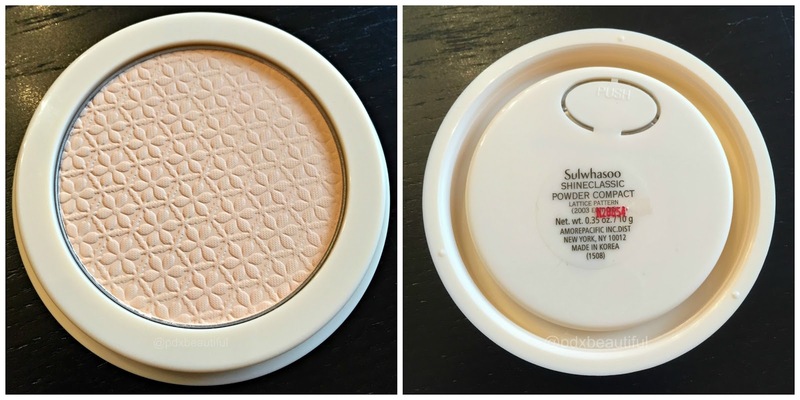 I most likely will not use the powder because of the unknown expiration so I have been searching the internet for refills like this here! 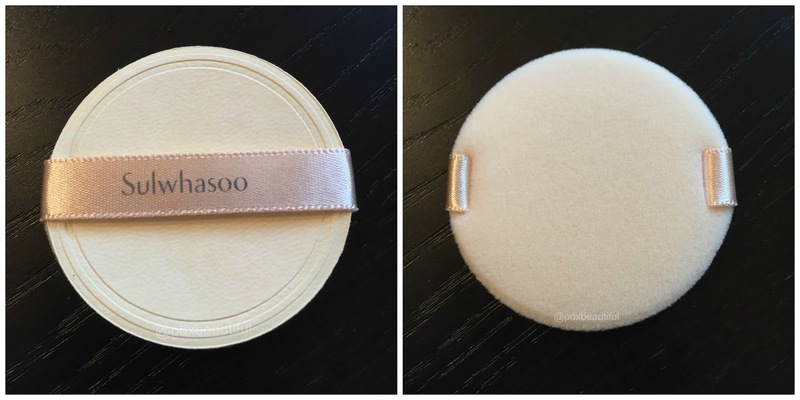 If you know anyone who sells Sulwhasoo pressed powder refills please leave me a comment below. 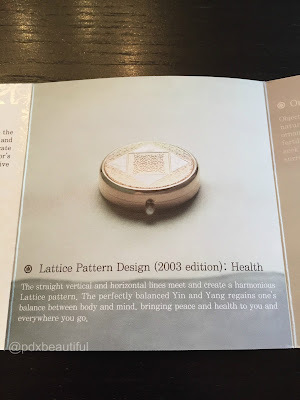 Prior to purchasing, I had no idea that this case represented health! I think it's rather coincidental that I chose this particular case because I suffer with fibromyalgia. Maybe in some cosmic way, I was destined to have this compact....yeah probably too far fetched LOL! 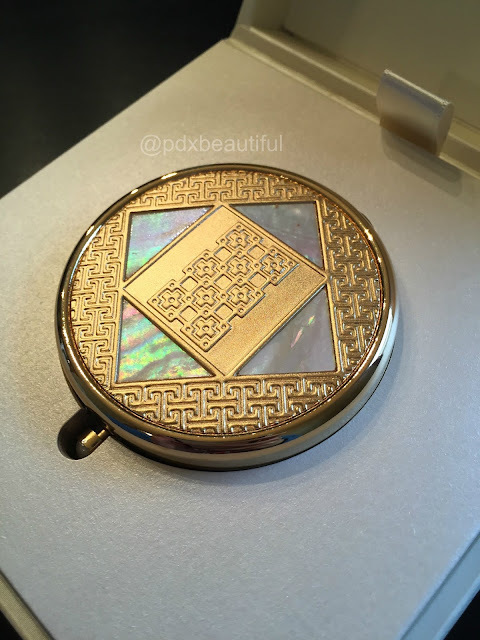 I am still blown away by this compact case! 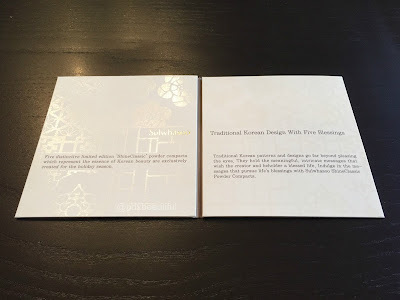 I am so glad I treated myself to such elegance.